How badly do oil producers want to transition out of the deepwater and focus on shale? And guess what that means for the global oil price? Exxon Mobil (NYSE:XOM) just paid Seadrill (NYSE:SDRL) $125 million in cash to get out of its commitment to use the West Capella drillship. Don’t you wish someone would just pay you $125 million to pack up your things and just go home? The contract that Exxon had on the Seadrill had an expiry date of April 2017. Exxon couldn’t wait that long and instead decided to pay the equivalent of $370,000 per day to just get out of the deal. Had Exxon used the West Capella it would have been paying $627,500 per day. • Conoco Phillips said last year that it was done with deepwater exploration forever. 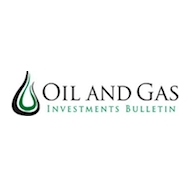 • Marathon Oil announced that all of its budget in 2016 will be directed to its onshore resource plays with only $30 million that was previously committed to going to offshore work. • Chevron is pivoting in a major way away from big ticket offshore projects and is hoping to ramp shale output up to 25 percent of the company’s production by the middle of the next decade. This list goes on and on. And this, dear reader, will almost single-handedly move the oil price higher in the coming two years. Last August the U.S. federal government held an auction for offshore oil fields in the Gulf of Mexico. Just five companies submitted bids and only 33 leases were sold. This was the worst showing in three decades for the Western Gulf of Mexico. Offshore production accounts for 30 percent of total global oil production. The percentage of global production has remained the same since the early 2000s but the absolute amount of production has grown. Today nearly 22 million barrels of oil per day is produced offshore; the figure in the chart above includes all liquids. Offshore production has lower decline rates than shale does, but considerably higher decline rates than onshore vertical developments. That would put the offshore decline rate somewhere between 15-20 percent per year. These higher decline rates mean that the sudden halt to offshore development will result in BIG offshore production declines. Off a 22 million barrel per day production base, 15-20 percent would equal 3.3 to 4.4 million barrels a day—gone. That is substantially more than the spare capacity of OPEC right now. That means that in just one year, the world oil supply could be put into deep undersupply (pardon the pun) as offshore exploration and development stagnate. Shale/tight oil has beat offshore production in every way. Onshore costs are down dramatically. The time it takes to drill onshore wells is down. Onshore flow rates have improved. But is isn’t just about breakeven-costs. There are other considerations. Even if an offshore exploration well is successful there are drawbacks. Once a discovery is made offshore companies need to sink huge sums of money (often billions) over an extended time period (years) before any production can happen. That leaves companies without any revenue from the money being spent for long stretches and also exposes them to commodity price swings. Just imagine giving the thumbs up to a billion dollar offshore project that needs $70 per barrel oil and then having to watch oil crash just as production comes on stream. Shale oil wells can be drilled in weeks meaning that there is very little time between investment and cash flow. A shale well also costs under $10 million and can’t ruin a company like a billion dollar offshore project. The location of shale within the continental United States is also far superior than being in the middle of the ocean. Pipelines are already in place onshore, employees can go home to their families every night and operational and health and safety risks are far lower. Shale is simply a better option than deepwater development. What Would It Take To Get The Industry Interested In The Deepwater Again? The majority of the oil and gas sector is in serious financial difficulty. It will take a long stretch of sustained high oil prices before anyone gets bullish on deepwater exploration again. Existing discoveries will be developed. Investing money in those situations provides a guaranteed return on investment through cash flow. Wildcat deepwater exploration is not a business that is coming back for a long time, if ever. Saudi Arabia’s decision to open the taps has changed this business for everyone. The idea that sustained high oil prices were the norm for the future is gone. Volatility is back and it isn’t going away. There is no safety valve for oil prices. It is everyone for themselves going forward. Shale oil offers a predictable, manufacturing-like business model around which companies can plan. And it can be stopped and started on a dime depending on oil prices. Ten years ago shale oil wasn’t even on the radar. Now it is has displaced the deepwater, which was once thought to be our only savior from peak oil. When Will Solar Overtake Oil? And in California you can't get a cracking permit...where in God's name can a guy earn a living? Assertions rather than fact-based analysis. This type of authors are the same people who will say oil should be 120 a couple of years later. Thanks for the article. One of the best cases I've seen for higher prices coming sooner than most others are predicting. Fossil fuels is the energy sector where producers want labor costs to be low but supply tight to allow the price to be multiples of labor costs. The problem is labor costs are increasing over time, and any period of high prices from tight supply leads to too many players paying too much to labor creating surplus in supply that requires slashing labor costs drastically but competition drives efficiencies staying the collapse of surplus leading a long slide in profits and price equalling labor costs for long periods. During this time capital will be destroyed, most importantly human capital. In a decade, the ability to drill in deep water will be effectively gone. The drilling equipment largely scrapped. But more important, the people will have moved on, and creating the professional and skilled workforces requires first creating the instructors to teach them in schools. It appears that oil companies have decided that it is fiscally more advantageous to extract oil from shale rather than the ocean. They must also believe that shale oil is so abundant that they are willing to refocus their resources on land-based drilling. They would not abandon ocean drilling if it was going to hurt their bottom line (lead to less barrels). If shale oil is just as abundant, and continues to become safer and less expensive to extract, then what exactly is going to cause the price to spike? To the Lee M. Tillman of Marathon Oil. CBS anchor woman Cindy Hsu recently got involved in dirty coraption business with infamous CBS anchor Otis Livingston to rob Marathon Oil company employees bank accounts. never trust Cindy Hsu and Otis Livingston they are nothing but crooks and need to be arrested.